There are so many things to discover, for everyone ! We offer a varied range of leisure activities. If you are fond of hiking or cycling, why not discover the exceptional natural heritage. Bicycles and electric bikes are available at La Maison de Line. Prices upon request. Play tennis at the Saint-Rémy-de-Provence tennis club (a 5-minute walk from the Maison de Line). Enjoy a horse-riding tour of the Alpilles or in Camargue (Club des Antiques in Saint-Rémy-de-Provence, horse riding clubs in Orgon, Sénas, Cavaillon, Maussane, Mouriès, Saint-Etienne-du-Grès, Tarascon et Salon-de-Provence). 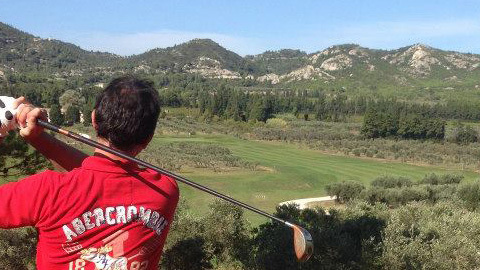 Play golf on the most beautiful courses at the heart of authentic Provence ( Servanes Golf Country Club in Mouriès, Baux-de-Provence Golf course, Pont Royal Golf Club in Mallemort, Avignon Grand Golf in Vedènes …). You can practice scuba-diving and watersports (beaches in Sainte-Croix, La Couronne, Cassis, Saintes-Maries-de-La-Mer…). Enjoy a flight on a glider to discover the Provencal landscape (aeroclub in Saint-Rémy-de-Provence). If you like climbing, there are cliffs and other magnificent sites to explore in the Alpilles (Saint-Rémy-de-Provence, Les Baux-de-Provence, Aureille, Eguières, Mouriès, Orgon, Paradou, Tarascon). Our region offers a rich and exceptional cultural heritage in an idyllic landscape. 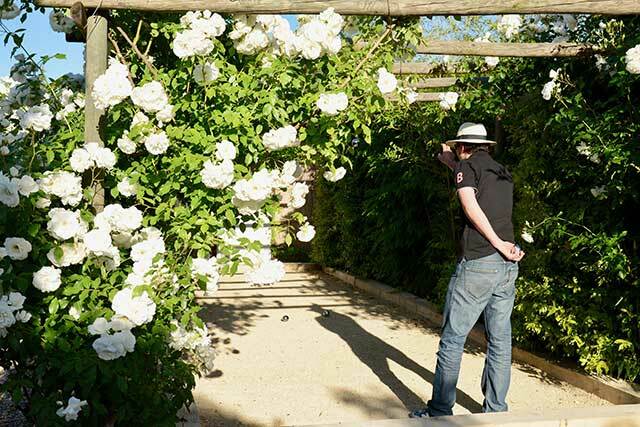 Here is a non-exhaustive list of the treasures of Provence, which you can discover during your stay at La Maison de Line. Saint-Rémy-de-Provence : Glanum archeological site, the Antiques, the Saint-Paul de Mausole monastery (also the Vincent Van Gogh cultural center). We offer you a delicious and epicurean tour of our beautiful region. 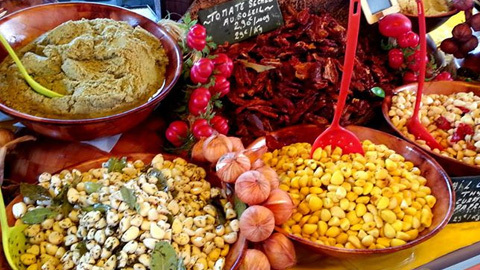 Stroll through the Provencal markets, full of fragrant and colorful fruits and vegetables. 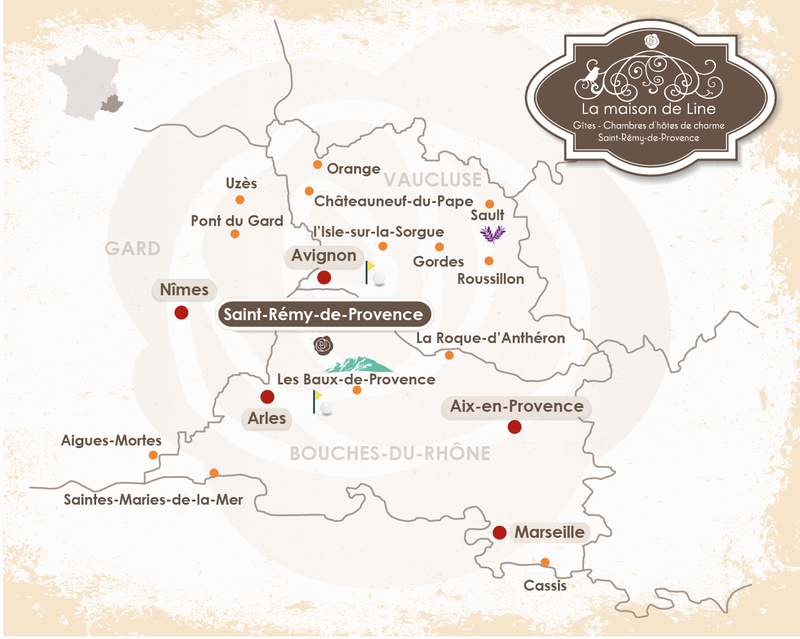 Walk through wonderful vineyards where connoisseurs will discover the Provence wines. Meet passionate chefs who will make you taste our generous Provencal cuisine, full of flavors. 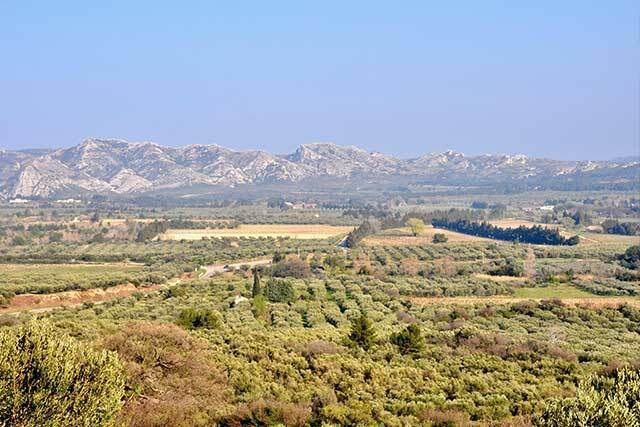 Discover our olive tree gardens where you can taste our best olive oils.